Our third Spring of the year was back home at our base in the Arlberg, Austria. The snow was melting fast, the sun was out and the nature in the valley was coming to life! We had a good base of snow from the Winter and it was now feeding the rivers. The Rosanna had great levels and the Spring melt on the Sanna saw us with a very unusual 3 weeks of constant high water! 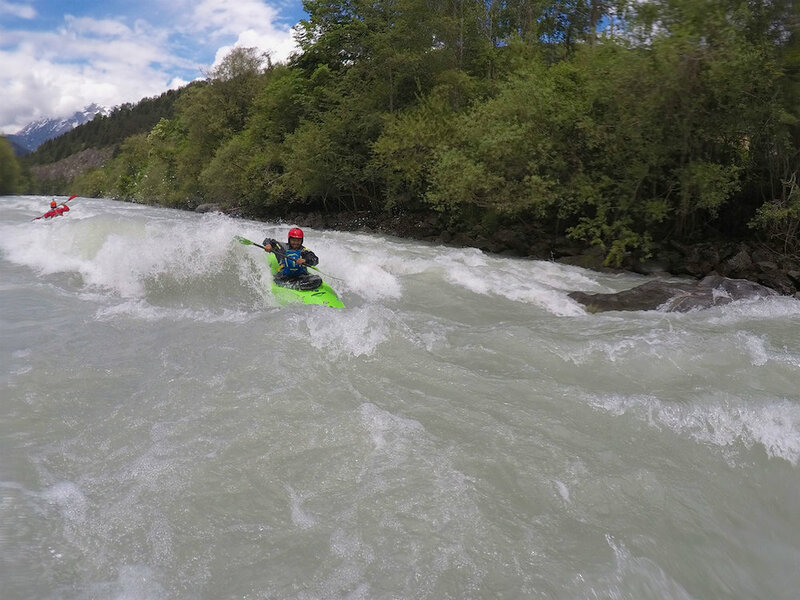 Stanzin was still with us and he was finally getting to kayak the Classic rivers and sections that make this part of Austria so famous. From the Alpine style rivers of the Rosanna, Sanna, Oetz and Lech to the BIG volume runs of the Imst, Landeck and Toesens Gorges on the River Inn. 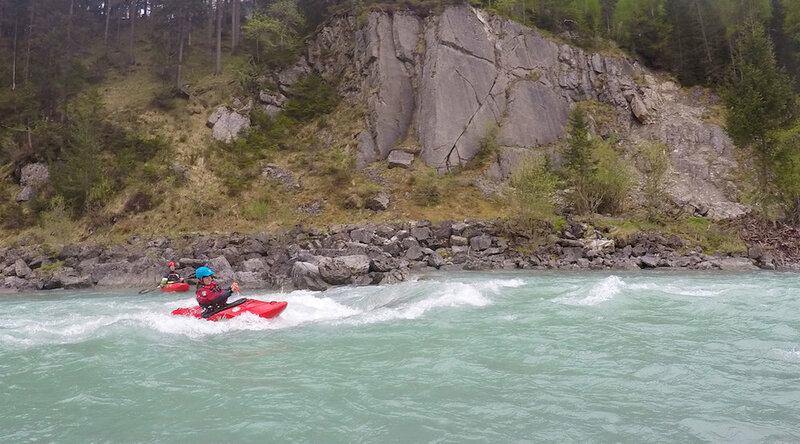 Not only was Stanzin kayaking in Austria but because we are based so close to the German and Swiss borders we were also coaching on the stunning Loisach River in Bavaria and the amazing sections of the River Inn such as the Giarsun and Ardez Gorges in the Engadine Region. We were keeping very busy with all of our courses from Beginners through to the Improvers Class 2 and our Skills and Thrills Class 3-4. The Creeks were also working and it was great to drop into some of the steeper rivers around our home base. Throughout the Springtime there are plenty of Festivals and Holidays including the Summer Solstice where locals head up into the mountains and to the top of the peaks to light fires and beacons. With only a couple of days of rain throughout the Spring it was a fantastic time to not only enjoy the world class whitewater but also the views of the mountains were outstanding. Our 2019 dates have now just been published so if you are looking for some Spring kayaking, learning a new sport or just wanting to check out the region from a very different perspective, then have a look at our dates and just drop us a line!